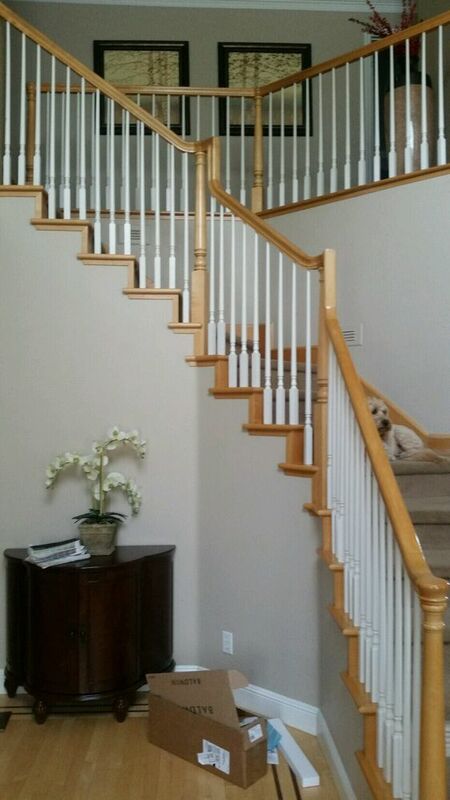 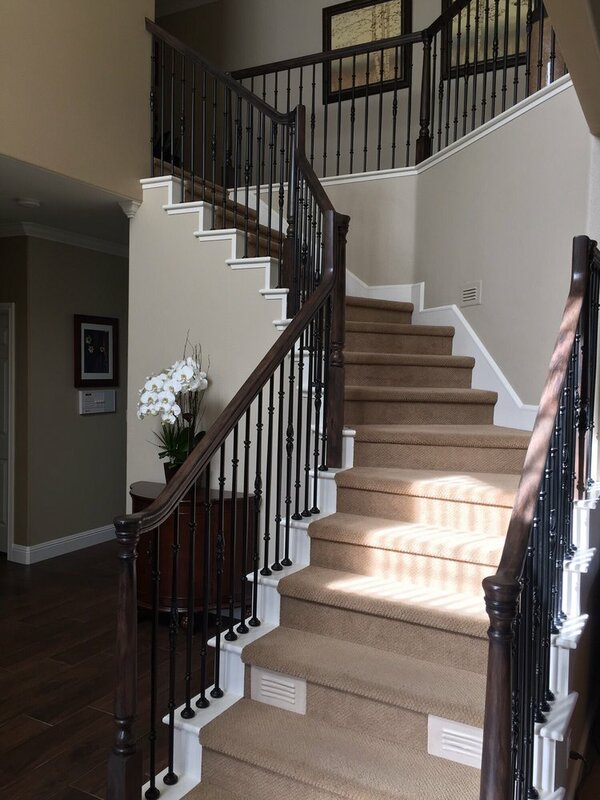 This white and natural wood stair rail was faux painted to look like walnut wood instead of white. 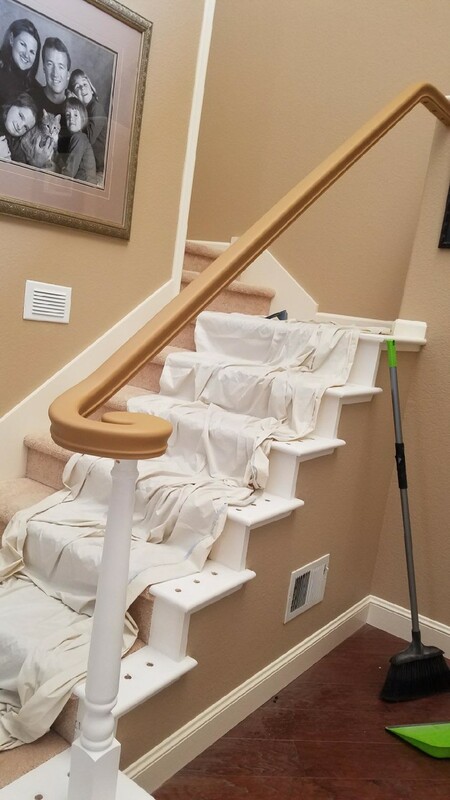 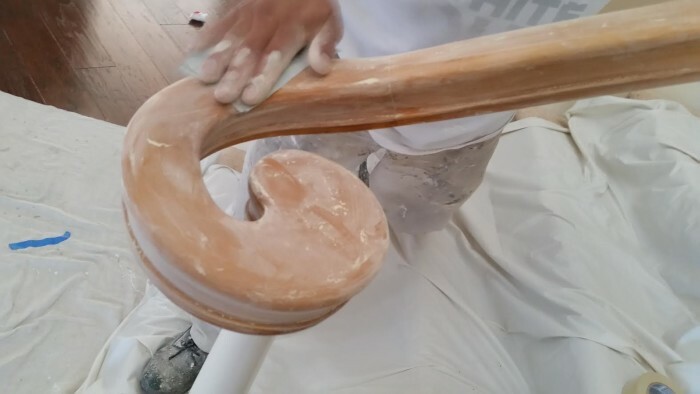 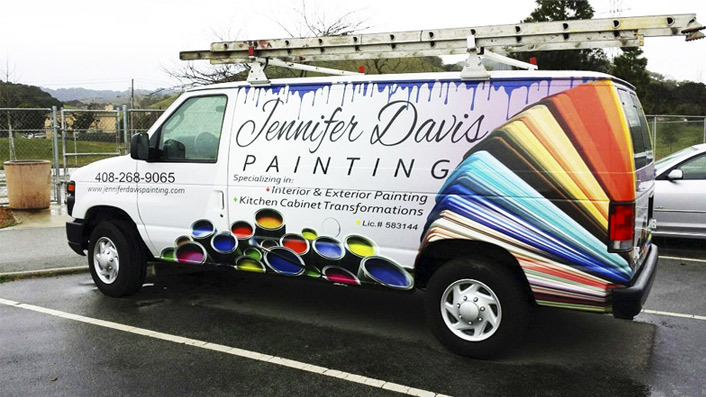 This service allows you to transform a pre-existing stairrail by first sanding it down and they applying the faux finish. 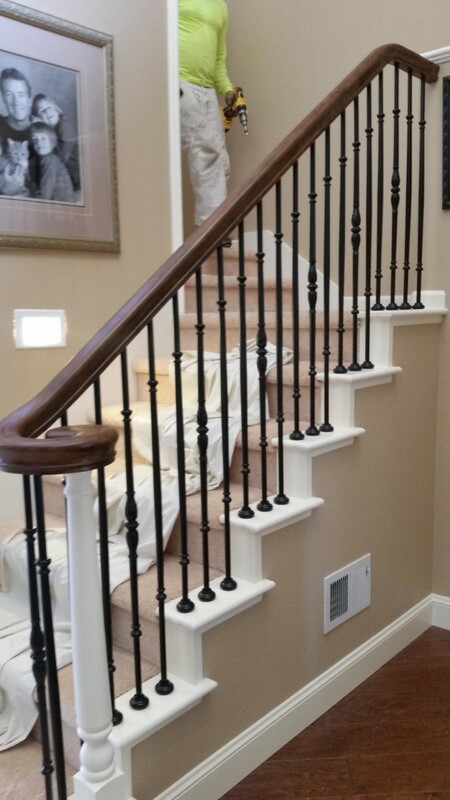 The iron was also painted on this particular staircase.